DFW Event Decor has a great knowledge of venues around the Dallas Fort Worth Area and can assist you to find a venue that will suit your needs, budget and event requirements. Whether it is a large orchestra, string quartet, jazz band, DJ, magician, fire-eater, or a MC, we have a long list of professional performers at our fingertips. 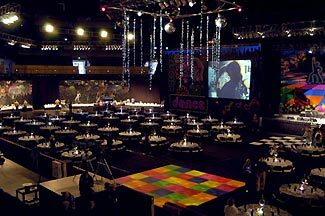 Our resources and experience in audiovisual and lighting is outstanding, providing spectacular effects and solutions for any themed event, product launch, exhibition or conference.